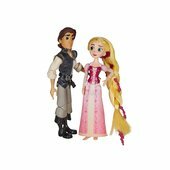 Disney's Rapunzel longs to see the world, which clashes with Eugene Fitzherbert's contentment with living the royal lifestyle, but through their differences they remain deeply devoted to each other! 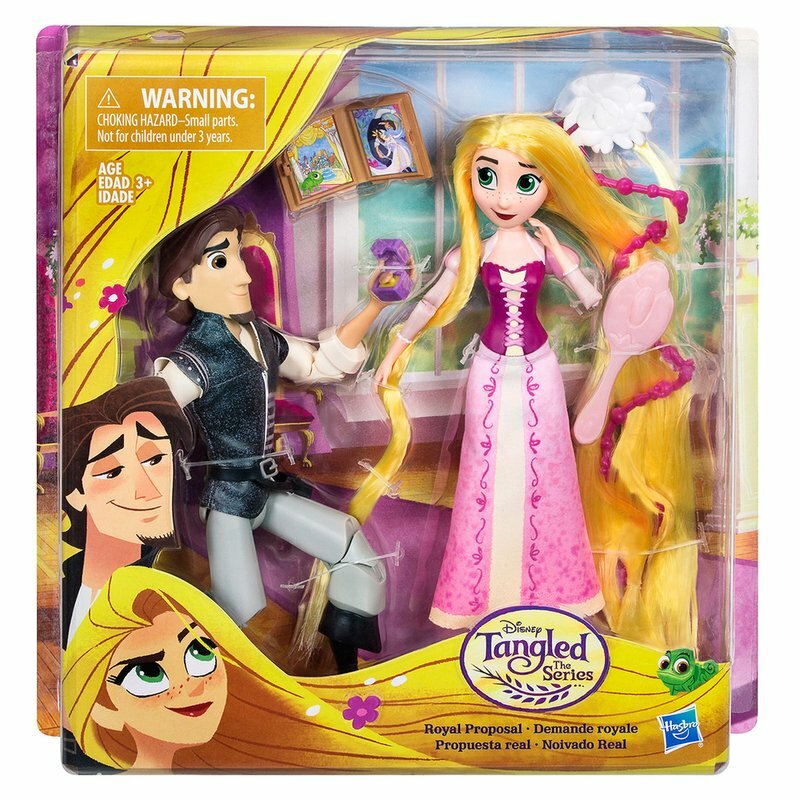 Inspired by Disney's Tangled the Series, this Royal Proposal two-pack features Rapunzel and Eugene. The figures are highly articulated so girls can play out scenes from the couple's love story. 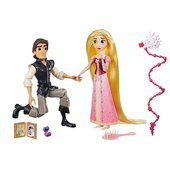 The Rapunzel doll features her long hair and comes with hair accessories for lots of styling fun.